Comprehensive, knowledgeable support always available. Robust, auditable, easy-to-install revenue-grade monitoring. Automated production reporting to California CSI PMRS or PBI, MassCEC PTS, GATS or others included. Hardware and data services tailored to the demands of commercial-scale solar projects. 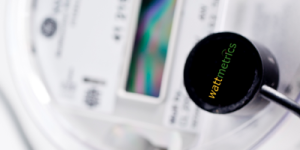 "I am an electrical contractor and I have installed other systems, however Wattmetrics was the fastest and by far the easiest I have ever used." "Thanks for a great product....Your customer assistance was above and beyond the call of duty." "We have found WattMetrics to be very reliable and superior to their competitors....WattMetrics has become an invaluable partner for NARENCO." "Their commitment to customer service is unequaled in the industry....We find WattMetrics to be consistently the best solar monitoring company to work with."